Porsche 991 GT3 RS – A New Challenge For Us! With the right components and the right setup, not even looping is a problem anymore. Drivability, handling and performance on the racetrack have always been at the center of attention. Quite GetSpeed-like, we have also integrated our motorsports experience here as well. Detail work and state-of-the-art equipment were the basis of our work on the way to perfecting the 991 GT3 RS. 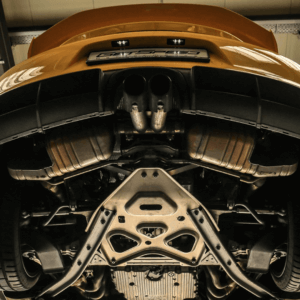 In terms of underbody optimization, the 991 GT3 RS is now equipped with a KW Competition triple underbody. Mid-mounted engine with 3.8-liter cubic capacity and 385 PS/420 Nm and a top speed of 295 km/h. Equipped by series with a height-adjustable underbody and a 6-gear manual transmission incl. automatic double-clutch, the Cayman GT4 has the best of prerequisites for the racetrack. It is a challenge for us to get even more out of the Cayman GT4 because in order to be fast on the Nordschleife, you foremost need a car that is tuned very precisely. With the right components and the right setup, the Nordschleifen machine is safer and easier to drive. Fast driving is fun only with the maximum of safety. 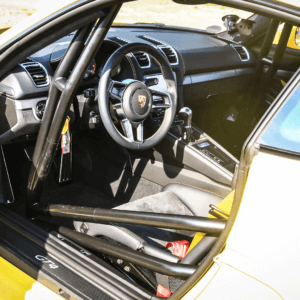 We therefore installed a cage expansion on the Porsche for the optional Clubsport package. All underbody parts with rubber bearings have been retrofitted to uniball bearings and offer absolute driving stability. 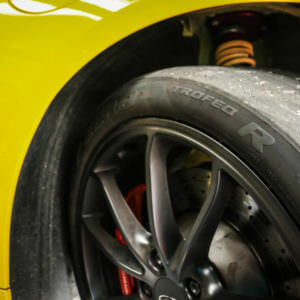 At good last, the Pirelli Trofeo R tire ensures the right grip on the racetrack and gets you the last second. In terms of underbody optimization, the Cayman is now equipped with a KW Competition triple underbody. 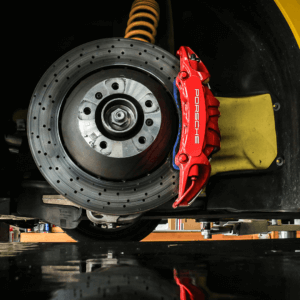 GetSpeed setup for underbody and axle geometry round out the package and ensure perfect handling and optimal drivability of the Cayman. 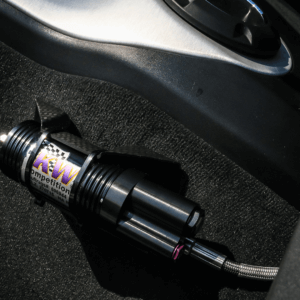 To be fast on the Nordschleife, you foremost need a car that is tuned very precisely. With the right setup and the right components, the Nordschleifen machine is safer and easier to drive. 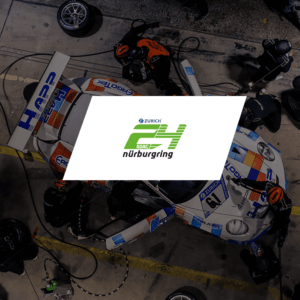 After countless wins on the Nordschleife, we have used our experience for the modification and concentrated on drivability and the handling of the vehicle. This resulted in a 997 GT3 of the special kind. Cage expansion for the series Clubsport roll bar. Endless brake pads on the front and rear axle. Flexible steel brake hoses incl. Castrol SRF race brake fluid. Pirelli Trofeo R 235/35-19 and 305/30-19. Modification of all axle parts with rubber joints to uniball joints. Rims O.Z. Ultraleggera 8.5×19 and 11×19. Underbody KW-Competition triple incl. adjustable racing sports strut mount. Underbody setup Nürburgring Nordschleife incl. GetSpeed setup. CAE shifter for more precise and quicker gear shifting. Porsche 997 Cup steering wheel. Seat Sparco Ergo S incl. console and guide rails. 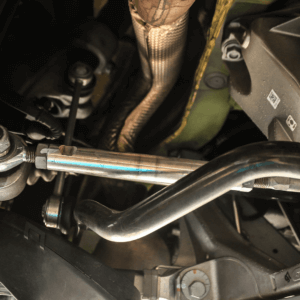 Exhaust system Porsche 997 Cup or Akrapovic. All modifications are of course registered.